Chili is one of those foods that most everyone has an opinion on. Noodles or no noodles? Beans or no beans? Crackers? Heat? There are so many variables and everyone has their favorite. We’re not here to have that fight, but we will tell you about a chili shop in Wisconsin that’s been serving up hearty bowls of the comfort food for more than 100 years. 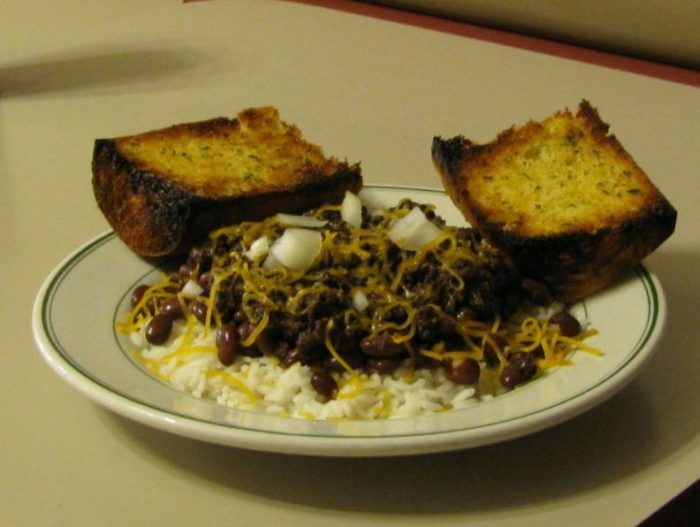 Chili John’s opened in Green Bay in 1913 and has been serving up delicious bowls of their chili every since. Folks all around Wisconsin think they have a copy of the recipe that these folks use to create delicious, filling and amazing chili, but they're wrong. Chili John's maintains that their recipe is a secret. According to their old website, "The authentic recipe is still a secret. 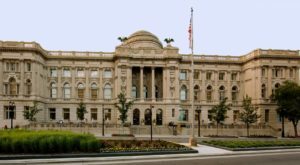 The formula is the creation of John Issac, a Lithuanian who came to the United States in 1879. 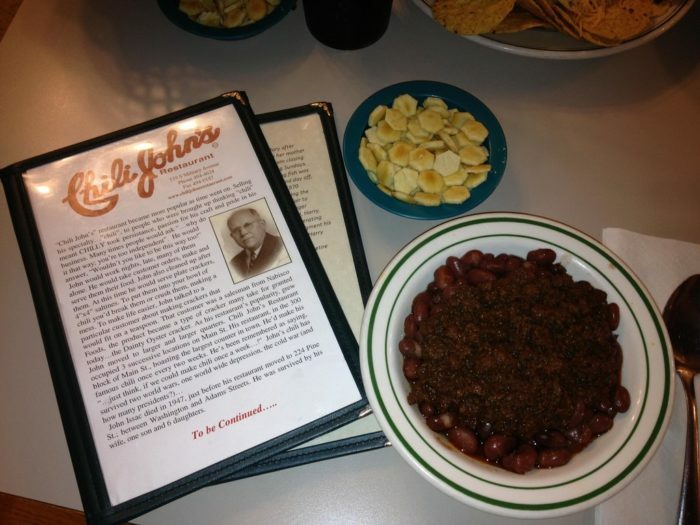 John opened a restaurant in 1913 bearing a sign reading only 'Chili.' 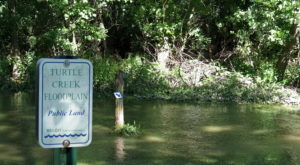 This restaurant was located at the foot of the Main St. bridge. Fans of his recipe soon began calling him 'Chili John,' and the name of the restaurant was born." 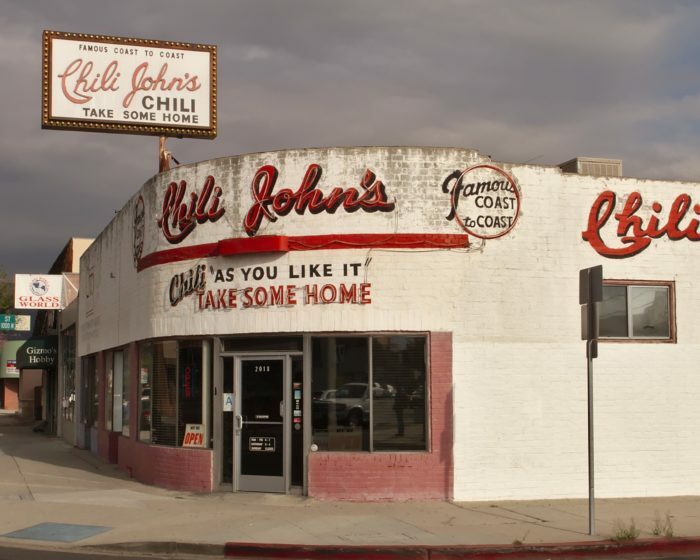 The original Chili John passed away in 1947, but he had seven children and one was so impressed by what his dad accomplished in Green Bay that he took the idea with him all the way to Los Angeles. Ernie opened a Chili John's in 1946 that's still going strong. 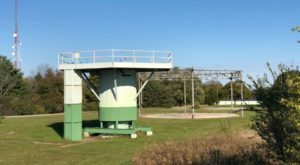 It's a unique set up, with two small, independent spots 2,100 miles apart, both serving up that same secret recipe that was the brainchild of a single Wisconsin man in a time when most people had to be introduced to the idea of what chili even was. The thing is, this isn't exactly the prettiest plate you'll ever eat and it certainly doesn't photograph well. But don't let that distract you. This is chili so delicious that it has been served for more than 100 years. 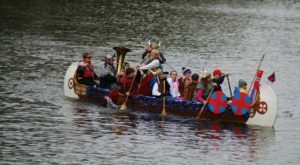 That's a century of people going back again and again. With the constant turnover and change in the restaurant business, that's an amazing endorsement. 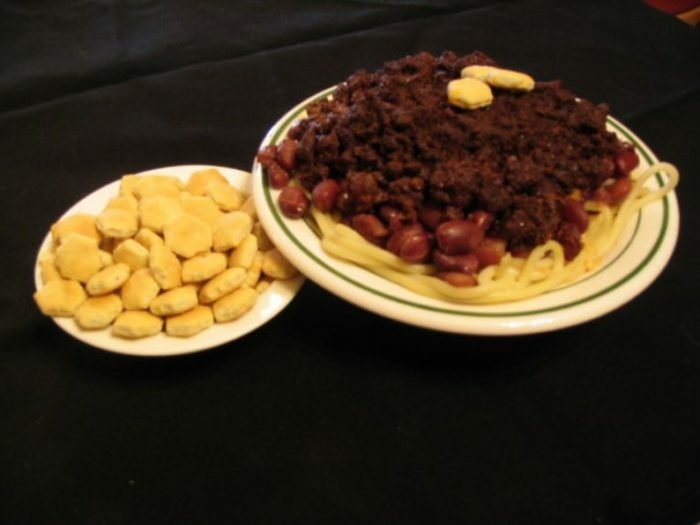 This type of chili served over spaghetti is now known as Cincinnati Chili, but you'll note that Chili John's predates any chili in Ohio by nearly two decades. 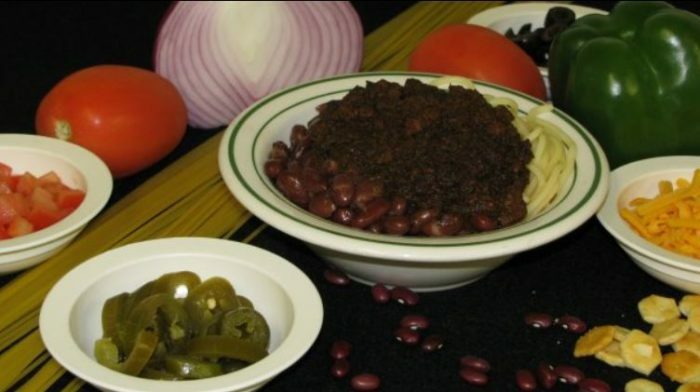 You get a plate of spaghetti noodles covered in kidney beans, the chili and often, a mound of cheese and onions. This is more meal than soup. It's such a part of life in Green Bay that it's sold in grocery stores and numerous folks who visit Green Bay with the NFL make a stop at Chili John's a part of their routine. Back when he started, John was doing it all himself, from cooking the chili to cleaning up after customers. Folks were putting saltines on their chili and that meant a bunch of crumbling - and a bunch of dusty mess to clean up. The story goes that one of John's regulars worked at Nabisco and John lamented the lack of a cracker that would fit on a spoon. Not long after, oyster crackers were created. 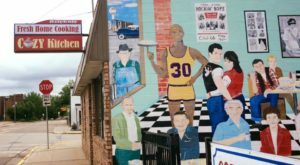 It's just one more bit of history that happened inside the Chili John's walls. There's just really nothing like this historic restaurant that predates so many places here in Wisconsin. It's a perfected recipe that no one else has been able to exactly replicate. It's nostalgic and hearty, filling and comforting. It's the perfect thing on a cold Wisconsin day and it's the epitome of a locally-owned, family restaurant that's endured the test of time. If you've never been, you simply must make the trek to Green Bay to taste this slice of Wisconsin culinary history. 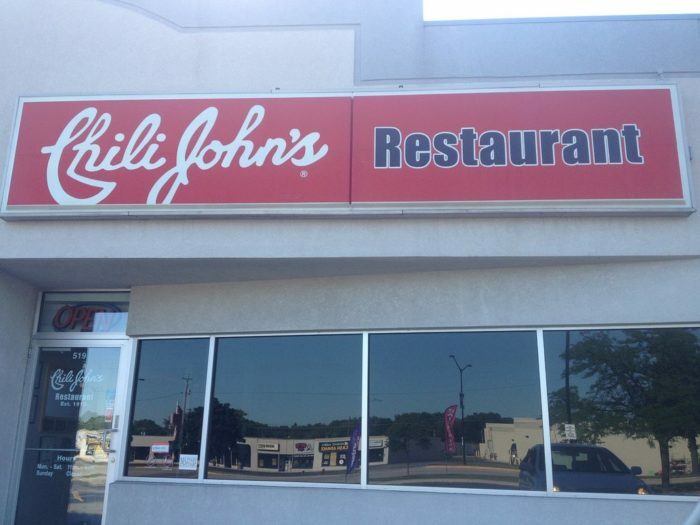 Chili John’s is located at 519 S Military Ave., Green Bay, WI 54303. They do not have a website, but you can check out their Facebook page here. 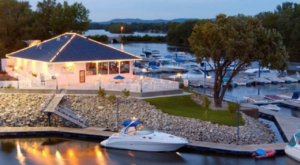 Have you ever eaten at this iconic Wisconsin spot? Let us know about it in the comments! 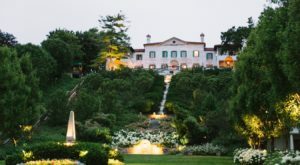 Looking for more historic Wisconsin restaurants? 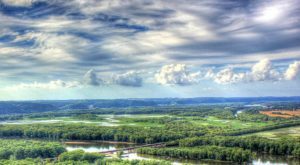 Here’s a great list of places in Wisconsin that are at least 100 years old!